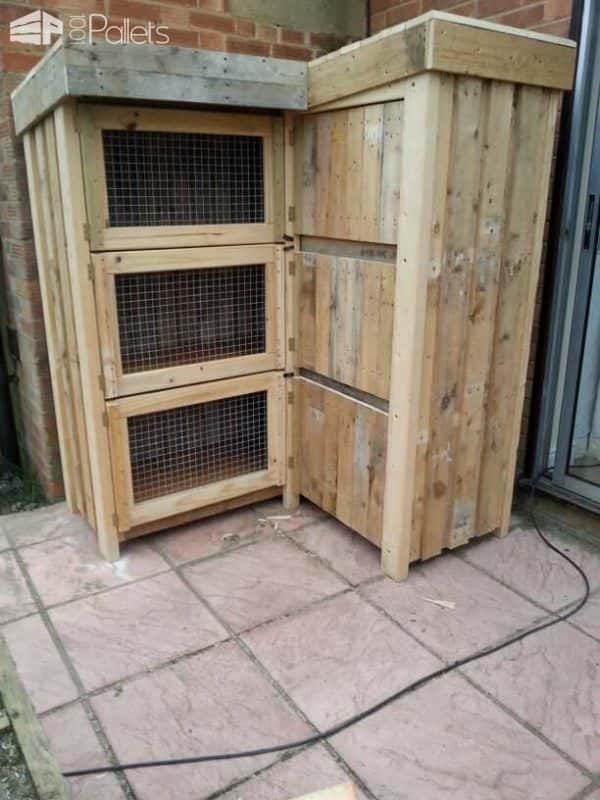 8ft corner rabbit hutch. Our Frenchies love it. All out of pallets. £5 worth of wire and felt that cost £5 all in all cost about £11 to make not bad for a triple hutch.  will you send me the plan for the conerhutch and any chicken house plan thank. I’d be interested in building this corner hutch too, sounds fantastic and would really suit the space in my garden. 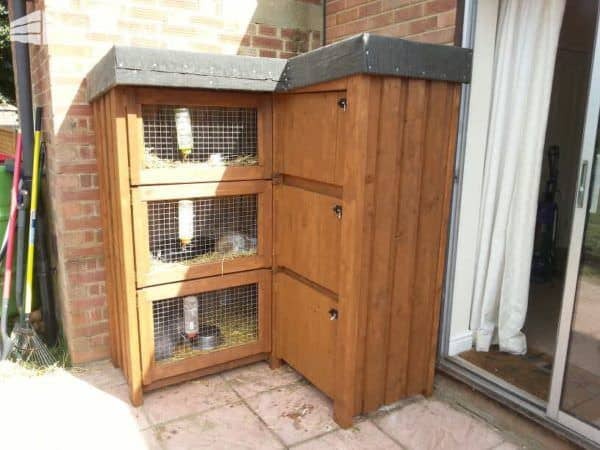 How can I get the instructions on making this corner rabbit hutch? Your rabbit cage is amazing,are there anyinstructionsas to how to build it please.